As part of this book review we have been given permission to include a couple of the recordings from the accompanying CDs. We think you will really love them. The Australian government consistently reiterates its commitment to maintaining Indigenous languages. Yet the fact remains that before European invasion there were over 250 languages spoken in Australia. Now there are a little over sixty, and only ten of those are considered to be ‘healthy’ enough to be taught in NSW government schools. Rather disenchanting, this unfortunately reflects broader attitudes concerning the (un)importance of preserving not just endangered languages but endangered cultures in general. This apathy is addressed head-on in, For the Sake of a Song: Wangga Songmen and their Repertories. Although it its larger commitment to the maintenance of Indigenous language cannot be overlooked, the primary focus of For the Sake of a Song is a commitment to preserving both the history and current practice of wangga. 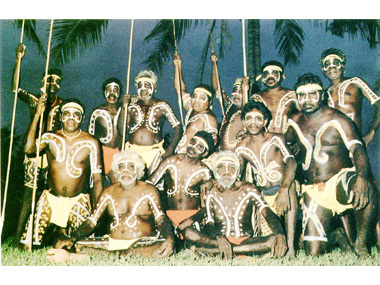 Wangga, originating in the Daly region of Australia’s Top End, is one of the most prominent Indigenous genres of public dance-songs. For the Sake of a Song focuses on the songmen who created and performed these songs – for their own communities and for the general public – over the past fifty years. For the Sake of a Song is organised around six repertories: four from the Belyuen-based songmen Barrtjap, Muluk, Mandji and Lambudju, and two from the Wadeye-based Walakandha and Ma-yawa wangga groups. The repertories are named after the ancestral song-giving ghosts of the Marri Tjavin and Marri Ammu people respectively. 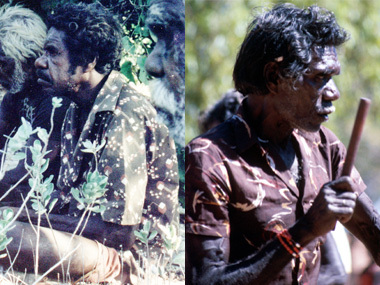 Thanks to permissions from the composers’ families and a variety of archives and recordists, this corpus includes almost every wangga song ever recorded in the Daly region. The book takes concepts usually out of reach to those unacquainted with the intricacies of music and speaks to the ‘regular’ reader. A lively introduction details the social history and cultural meaning behind wangga and outlines the ways in which to interpret the song analyses. In each chapter that follows, a repertory is recorded and analysed in detail. Rare black and white as well as colour pictures are dispersed throughout the book, adding to its preciousness as a record of cultural practice. For the Sake of a Song is based on over two decades of research and written by three authors affiliated with the University of Sydney: Allan Marett, Linda Barwick and Lysbeth Ford. 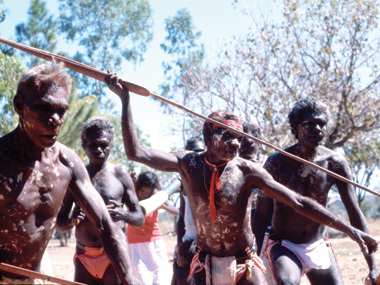 The book is written to encourage concern for the future of wangga as well as the language in which it is sung and the culture that provides the song its meaning. To find more information about For the Sake of a Song or its authors, you can visit Sydney University Press. Keep an eye out too for the CDs that accompany the book, which will be released later in the year. Until then, the songs can be streamed from their site.